The 3 Littre (100 oz.) 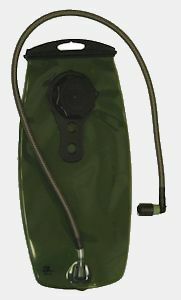 bladder hydration system, designed and built in Israel by Source® for the Israeli Army and chosen by the US Marine Corps. 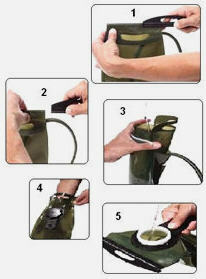 Note: This bladder is recommended for Most Eberlestock tactical packs and Condor Tactical Series packs, It fits in the main outboard pockets of Eberlestock tactical packs such as the Phantom (G3M), Operator (G4M), the Halftrack (F3), but not in the narrow sleeve with the hydration hooks (the Source 2L bladder fits these sleeves).